Kingsize slim smoking rolling papers similar to RAW. Organic hemp papers with natural gum. 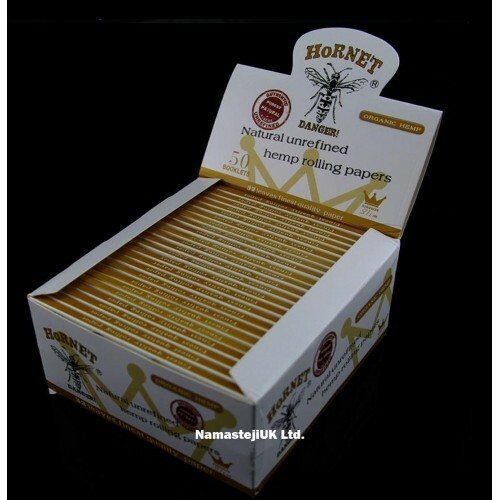 Features Hornet organic hemp kingsize slim rolling papers.